Greetings - Cebod Telecom "
Choose the default business phone system greeting or customize your Office Phone with personal greetings, messages, music or information. Customize your business auto attendant to greet the caller. Upload recorded custom greetings in wav format. Choose default Cebod Telecom greeting. 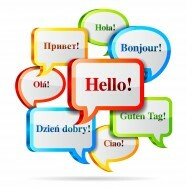 Create your company greeting in more than one language and set up IVR to provide several options to select from. Customizable high quality professional business greetings. Do does your phone service work with analog phones? ?